VFL Gummersbach youth section produced a lot of handball legends, such as Heiner Brand and many others, but thru the club’s 157 years, there were not so many players who reach the first team in the age of 18. Yonatan Dayan is one of them. The Israeli middle back grew up in the Ironi Rehovot and when he was in 9th grade he went to the Israeli handball academy. 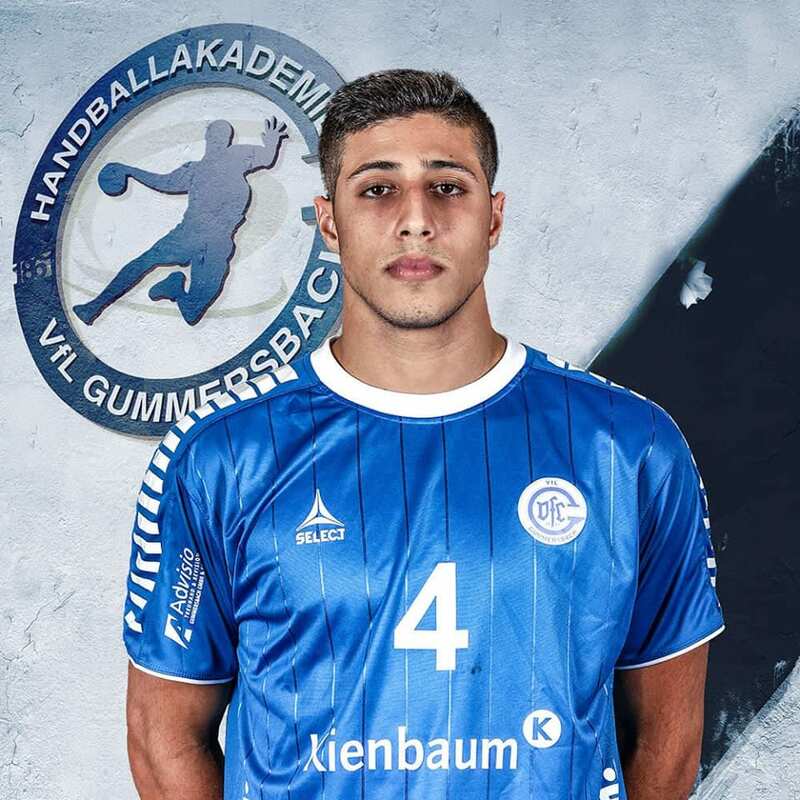 Afterward, the Israeli handball federation chose him to be part of the isreali “Germany project”, although he was 2 years younger than his team-mates. In this project, the Israeli u19 national team flies to Germany for few months, train two or three times a day and meet Jugend Bundesliga teams. In that way, Gummersbach found his potential and bring him to the club when he was 17 years old. Last March, when he was 18 years old and part of the U18 and U23 Gummersbach’s teams, he called for the first team match in the Sparkassen Arena with THW Kiel. It was amazing week for Yonatan who was one of the U18’S MVP who led them for the national Jugend Bundesliga playoffs. Last summer, he was a major part of the Israeli U18 national team who finished in the 14th place in the European championship and In the current season, he became a permanent player in the first team and even that he can play in the U18 team, it doesn’t happen a lot. In the most of time, he plays in the first and U23 teams only. Yonatan, Have you expected to be a Bundesliga player when you are 18 years old only? “I’ve trained with the first squad when I was 17 years old but absolutely not expected for that. I thank before each of every training ‘wow, I will train with them’. If someone told me before that it will happen I could laugh”. What do you thank when your head coach called you from the bench to play in the Sparkassen Arena? “In the first moments it looked like everything is black and my heart bumped like never before. But, in few seconds I was totally fine”. Are you satisfied from the way the “stage” that VFL Gummersbach gives you? The fact that you play in the U18, U21 and first teams don’t put too much pressure on you? “I love to play handball and the club know what good for me”. VFL Gummersbach was a major European club but in the last seasons the club become a relegations fighter. What happened? “This is true but I’ve got to say that the management work and talk about it a lot. They have a long-term project that will bring VFL back to the top in 5 years”. You were part of the Israeli “Germany Project”. How does the project helped you? “It was like a bootcamp for Gummersbach. To be far away from home and to train and play in the European level. In the physically and mentally expects, it improved me a lot”. The Israeli national team didn’t called you for a match already. Do you wait for that? “National team it is a dream for me such as VELUX EHF Champions League and the Bundesliga. The national Team is a special thing”. What did you took from Ironi Rehovot to your Bundesliga career? “Rehovot is the most ‘home’ club in the world for me, like a big family. For the rest of my life, this club will be my home”. Do you believe that you will come to the Israeli league soon? “My expectations from myself is to stay in the Bundesliga in the upcoming years and improve myself”. Are you satisfied with the U18 14TH place in the European championship? “It was not our target and we expected for more. We wanted to be in the top 8 and we were close, but we lost. We wasn’t good enough in the team’s prespective”. What is your expectations in the future? “My dream is to be In the Champions league final four but I believe that even after that I will want another one. I’ve got to say that I am very satisfied in Gummersbach and feel a huge privilege in each of every second”. Very talented kid. I wish him very good luck!